People who are affected by sleep apnea and Tempromandibular Joint Disorder (TMJ) often want to know what the cause of this condition is. There is not exact cause that can be pointed out, however there are several different factors which may affect it. A leading cause for teeth grinding and TMJ is a problem with the teeth known as Malocclusion. This is a condition where the teeth are no longer properly aligned making it difficult to close the mouth properly. Malocclusion can be brought about by loss of teeth, the eruption of wisdom teeth, poor fit of dentures, start of pre-molars and previous dental surgery. Many people have habits which they are unaware of. Often these mannerisms can cause damage to the TM Joint, the cartilage in the jaw and other tissues in the surrounding area. One of the most common habits that can lead to TMJ is teeth or jaw clenching. The constant pressure from this can do more than bring about TMJ it may also eventually lead to dislocation of the jaw. Other behaviors that can lead to TMJ are poor posture, biting objects such as nails or pencils, holding the phone on the shoulder, chewing gum, sleeping on the stomach and doing strenuous back activities. Studies show that extreme emotions can cause people to express themselves through body language, including jaw clenching or teeth grinding. These may be manifested both consciously and unconsciously. Such emotions that can trigger these actions and cause TMJ include depression, extreme anxiety, frustration, fear and anger. Unknown stress may also cause this. Experts at the American Dental Association report that between 40 and 99 percent of TMJ sufferers associate their condition with some sort of injury. Whiplash is one of the most common sustained injuries that can lead to TMJ. Aside from this, minor blows to the head or jaw and sometimes poor fitting braces may cause trauma as well. As mentioned earlier, stress may also be an underlying factor of TMJ. When people are faced with stressful situations they tend to unconsciously tighten muscles in the neck and shoulder area. Prolonged tightening of muscles in this area can lead to shortening of the muscles and eventually misalignment of the body. Situations that can cause stress include problems at home, financial difficulties, legal concerns, work troubles and sudden changes in life (divorce, a baby, moving etc.). Like other types of illnesses, TMJ can also be offset by previous medical problems. There are three medically related classifications for TMJ, the first of which is predisposition or an inclination towards it. In short, some people may be more prone to it than others even without the presence of the causes mentioned above. Accidents during childhood, abnormalities in the body, jaw abnormalities, thumb sucking, head trauma, chronic allergies or a severe illness may all offset TMJ in individuals. These may also make individuals without TMJ susceptible to the disorder in the future. The second underlying medical factor for TMJ is precipitating factors. These are unseen or sudden events that can cause damage to the area. These include accidents, the intake of medication, surgical procedures in the head, face or neck and even just opening the mouth too widely when yawning or eating. Lastly, there are perpetuating factors, which are continuous or ongoing reasons for TMJ. Causes that fall under this medical history category are also commonly known as habits. As mentioned earlier it may include chewing gum, biting on non-edible objects, teeth grinding and the like. Interested in learning about how you can alleviate teeth grinding and sleep apnea? 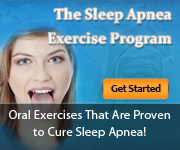 Please click here get your copy of, ‘Stop Teeth Grinding: The Sleep Apnea Patients Guide’.